Are You Biting Into a Healthy Lifestyle? 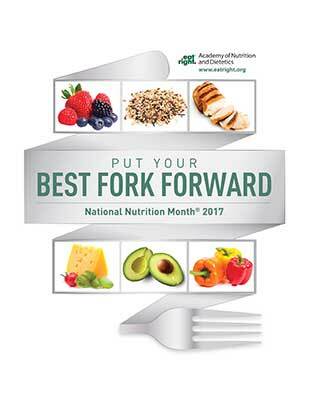 March is my month to shine, because it’s National Nutrition Month. The theme this year is Bite Into a Healthy Lifestyle. If you are already biting healthy, bravo. If not, now is a good time to practice. Aim for 150 minutes a week of moderately intense physical activity. It will strengthen bones and muscles, reduce stress, and increase energy. By achieving a healthy weight, you will reduce your risk of a chronic disease. Sound good to you? Any questions? I can be reached at Ruth@RuthFrechman.com. To achieve a perfect healthy lifestyle, check out The Food Is My Friend Diet at www.RuthFrechman.com. Free shipping is available. Ask me about books in bulk for giveaways! Treat yourself and co-workers with the gift of health. Everyone has unique tastes and habits. For National Nutrition Month this year, why not go global? Fine tune your eating habits to include healthy foods from around the world. To make it easy, use the USDA’s MyPlate as a guide. · Make half the plate fruits and vegetables. For Asian Indian, try fruit chutney; for Middle Eastern, try grilled pineapple (yum); for Latin American, try a mango smoothie or cactus salad, for Asian, try stir-fried greens, for African, try baked pumpkin sprinkled with cinnamon (so healthy!). · Make about one-quarter the plate protein, such as lean meats, black beans or tofu. How about making a Chinese dish with stir-fried chicken or tofu with bok choy, snap peas, carrots and bean sprouts? · Include one-quarter of the plate with grains – Half of the day should be whole grains. Ever try quinoa from Latin America? Or whole grain couscous from Africa? · Add some calcium to get all the nutrients you need. Low fat or fat free milk, yogurt or cheese would be good choices. Go Greek. Try tzatziki sauce, a creamy dressing made from yogurt, garlic and cucumber.